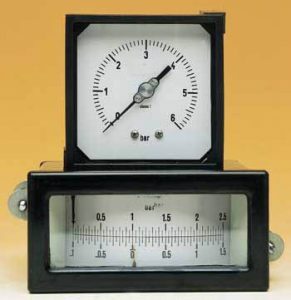 Gauges suitable to be used in control panels and in centralised control rooms; they are available with a plastic square case (MPQ) or a rectangular case (MPR), and mounted trough two back brackets. The rectangular version both fits the horizontal and the vertical mounting. 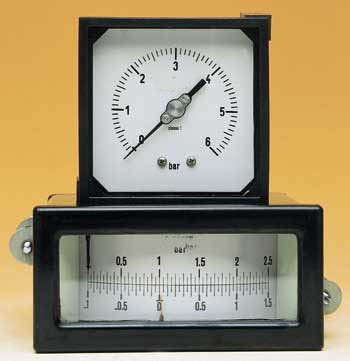 They can be used for all types of gases and liquids wich do not obstruct the measuring system.